Rolls-Royce today announced that it has set a new record for the world’s most powerful aerospace gearbox, just months after testing began. Speaking at the International Society for Air Breathing Engines (ISABE) conference in Manchester, UK, Paul Stein, Chief Technology Officer at Rolls-Royce, confirmed that the Power Gearbox had successfully reached 70,000 horsepower while on test at Rolls-Royce’s dedicated facility in Dahlewitz, Germany. The Power Gearbox will play a central role in the company’s next-generation UltraFan® engine, helping to deliver improved efficiency over a wide range of thrusts. The Power Gearbox has a planetary design, with each ‘planet’ capable of holding the force of a Trent XWB engine at full throttle. It is designed to allow the shafts at the core of the engine to run at very high speeds while allowing the fan at the front of the engine to run at a slower speed. The associated improvement in efficiency and reduction in weight will allow the UltraFan engine to offer a 25% fuel efficiency improvement over the first generation of Rolls-Royce Trent engines. 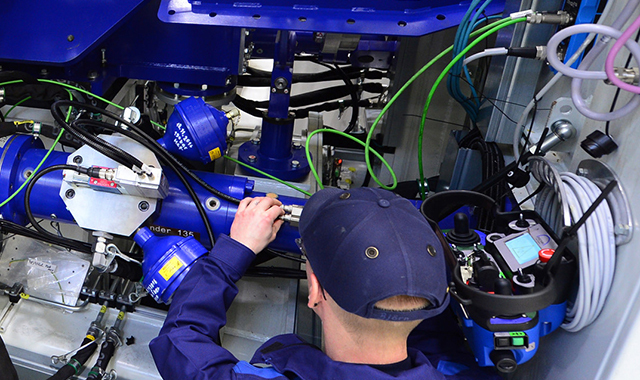 Rolls-Royce is working in partnership with Liebherr-Aerospace, through our Aerospace Transmission Technologies joint venture, to develop manufacturing capability and capacity for the new Power Gearbox. 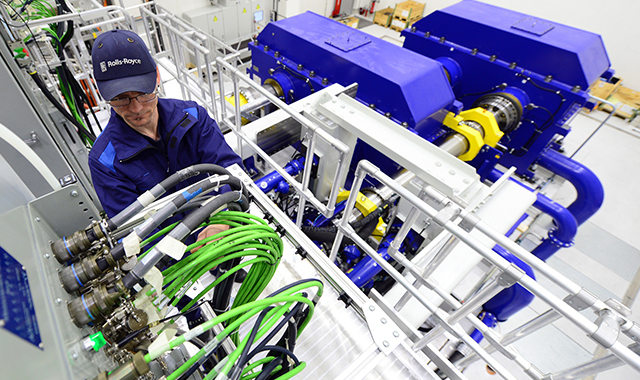 Rolls-Royce leads the design definition and design integration of the project, as well as testing activities.